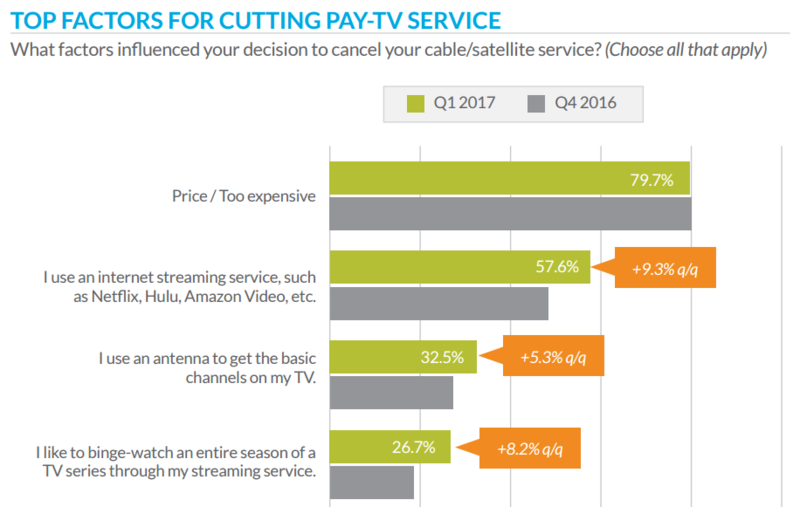 The high prices I had to pay to watch their commercials, punctuated, with occasional re-re-reruns of entertainment, was just too high. After an insanely long string of commercials, the entertainment would return, but then characters would walk out onto the screen. Or popup ads obscuring the content. Constant logos on the screen. I simply felt that cable tv was charging way too much for this level of abuse. If they are going to charge me this much money, they should be a lot more abusive. At least Comcast won't allow you to cancel your cable tv under any circumstances. Dear cable tv: mend your ways! For a change, why don't you try forcing people into two year contracts like mobile phone companies do!